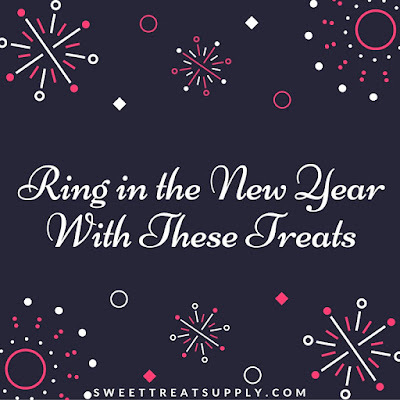 It’s almost time to greet a brand new year, and at Sweet Treat Supply, we love to welcome each new year with a celebration that centers around the hope for a year filled with happiness and prosperity. 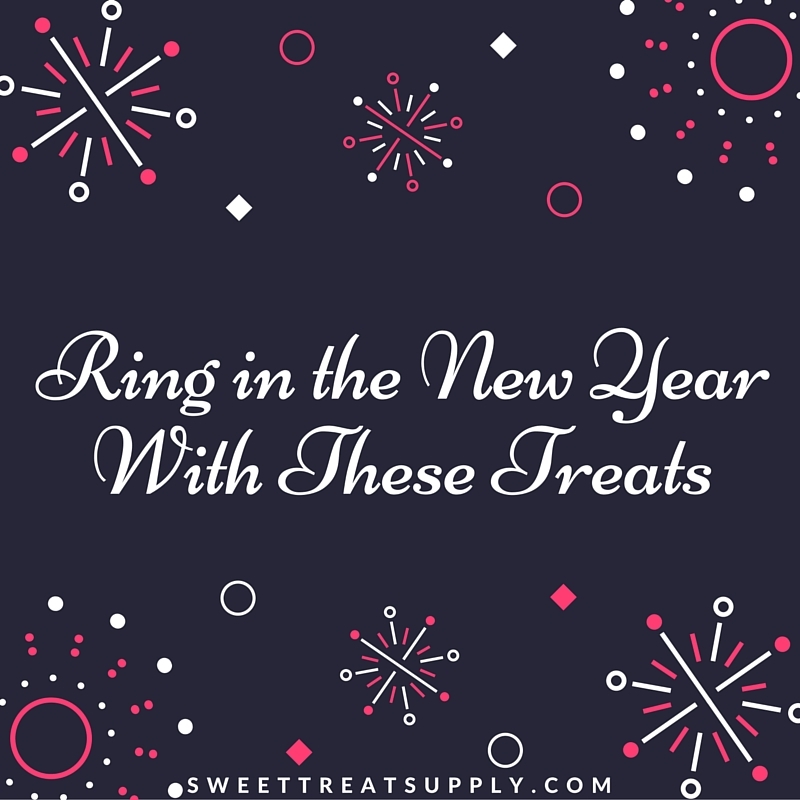 If you're making plans for your 2016 New Year's party or family get-together, then you can count on us here at Sweet Treat Supply to have everything that you could possibly need to make the very best treats. We've also found some great new recipes for you to try, and you can click on each link for full instructions and a photo of the finished product. Champagne Cupcakes: Why make a toast to 2016 with a glass of champagne when you can enjoy a much sweeter moment with these cupcakes that are made with your favorite champagne? This treat is easy to make, and you can even provide that special kiss at midnight by adding a pair of our delicious chocolate lips to each cupcake. Easy Homemade Funfetti Cake: You won't have to worry about cleaning up that mess of confetti that everyone wants to throw at the stroke of midnight because they'll be too busy eating this delicious cake. You can ring in the brand new year in an even more festive manner by preparing this fun cake in our bell-shaped baking pan. Pink Champagne Cake Pops: This festive dessert may take a little extra time to create, but you will definitely come out with a beautiful and tasty treat that your party guests will be talking about for a long time to come. You should be prepared for the requests that will come for you to make these delightful cake pops every year. We have a good selection of lollipop sticks to help you build this wonderful treat. Tequila Sunrise Cupcakes: Tequila lovers will adore these deliciously moist cupcake treats. Just follow the recipe, add one of our perfect cupcake toppers, and you'll have a wonderful treat to offer your guests. Now’s the time to start getting ready to make these amazing treats, so put in your order here at Sweet Treat Supply today. Do you have any favorite recipes for ringing in the New Year? If you'd care to share, then please add your recipes below.